I was in Chengdu three weeks ago when I spotted this noodle in a little hole in the wall right next to my hotel. I was intrigued with the name of the noodle. 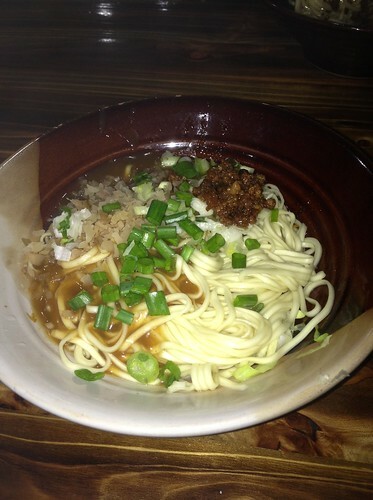 勾魂面 translates to "noodles that takes your soul" which essentially is a Sichuan version of 炸酱面. I have to say it was very good and cheap at a price of just RMB 7.00 (SGD 1.40). I guess they were right in "taking my soul" and I headed back for another round two days later.